The seven last words of Jesus have some awesome things to show us about Him, about our Father, and demonstrate just how much He loved us. Having just enduring the most horrific torture man can inflict on man, it’s amazing to me that Jesus could speak at all. After He was beaten He was mercilessly scourged by the Romans. While the Jewish people had a law that forbade them from exceeding 39 stripes, the Romans did not such a things. We have NO IDEA how many times He was struck. Incredibly, the first words He uttered were a prayer to His Father, showing who He was thinking of: You and I! Why did He pray this way? In effect, He was putting all Israel, and us as well, under the Trespass offering. This is absolutely critical to understand. What is this offering and what does it mean to be placed under it? 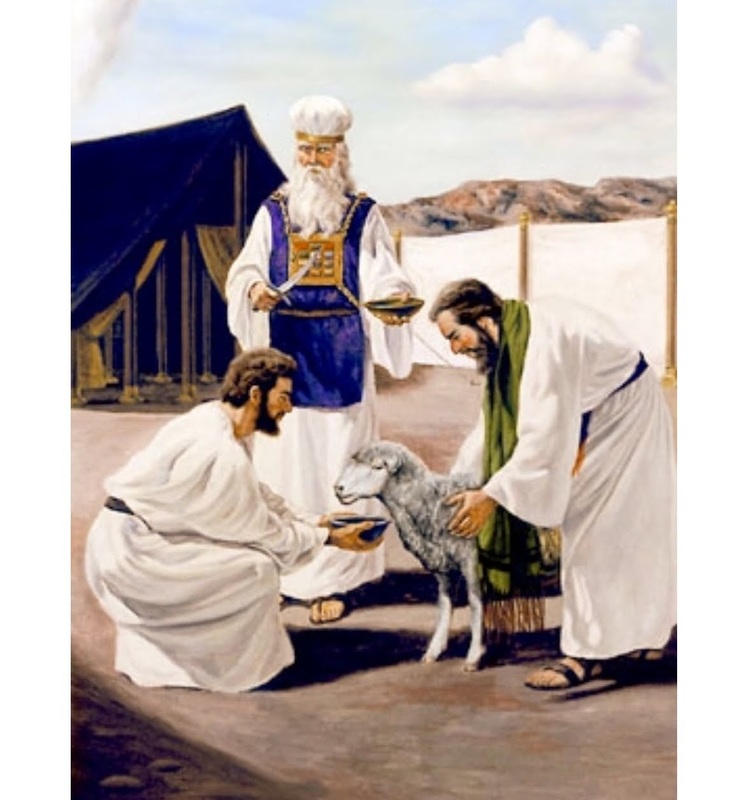 It is last of the five offerings detailed in the first five chapters of Leviticus. It covered the offerer of any and all sins of which he was unaware. You see, the Jewish people didn’t understand that Jesus was the Messiah. When their leaders conspired to have Him crucified, they thought He was just a man. Knowing that they were unaware He was the Son of God, Jesus had great compassion on them. He put them under the trespass offering so that their guilt and judgment would be lessened. Remember, Jesus died for EVERYONE. But you must be on the right side of the blood, otherwise, you are guilty of the blood of the Lord. Believe me: You don’t want to be there! It carries with it eternal punishment, and that is NO JOKE. In uttering the phrase above, Jesus demonstrated that He is not a God of the dead but of the living. You see, when you die, you don’t dissipate into some formless, mindless vapor or whispy nothingness; you go on living somewhere. The location of your eternal life is up to you. If you have accepted Jesus as your substitute, you will spend eternity with Him. If not, you will be in a very dark place of torment where there is weeping a gnashing of teeth. God Breathed His Spirit Into Adam. When God first created man way back in Genesis, he was nothing more than a lifeless mannequin. Then He breathed His life into Adam. He was filled with the Spirit of God, which CANNOT DIE. That’s why your spirit continues on somewhere, whether in heaven…..or hell. This became the biggest problem of all after the fall. You see, when Adam sinned, HE DIED SPIRITUALLY. In his fallen state, he would be deserving of hell but for the blood that covered him and his family from the sacrifices he was taught to offer for sin. God drove the two out of the garden so they could not eat of the tree of life, i.e., Jesus, and live forever as evil. He would be forever lost. Animal sacrifices could never take away their sins, mind you. They could only cover them. But they reminded God of THE FINAL SACRIFICE JESUS WOULD OFFER in the distant future. It was credited to him as righteousness. There is ample scriptural proof that this is so in the story of the Rich man and Lazarus, that your spirit continues on after you die. Remember those two? The rich man in life had been selfish and cruel while Lazarus, who was a poor beggar, had nothing. The rich man feasted to his heart’s content while Lazarus was lucky to get the crumbs that fell from his table. Then one day, they both died. Lazarus was ushered into Paradise, but the rich man went to the place of suffering. He did not end up there because of his riches, you understand. 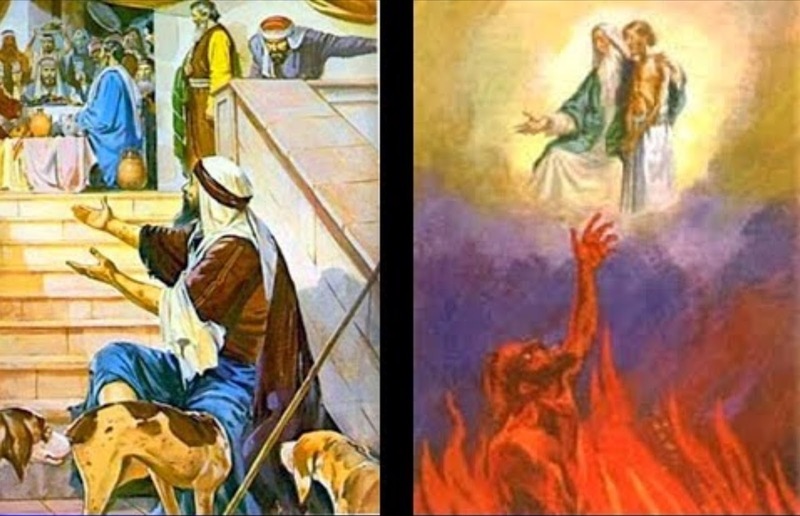 The only thing that sends anyone to hell is rejecting Jesus or, in their case, not offering right sacrifices to God to remind Him of Jesus, placing your trust in a future event. Anyway, being in great torment, the rich man looked across the great gulf separating the two and he saw Lazarus afar off, resting peacefully in what the Jewish people called, “The Bosom of Abraham.” Since each could recognize the other, you obviously have eyes to see. You also have a form similar to that which you had while you were alive so that others can recognize you. Jesus demonstrated the importance of family in this statement. He will always protect and provide for us, His family. Though in horrific physical pain, being fully human, He made sure that His mother would be well cared for when He returned to His Father. Note that the ONLY disciple at the foot of the cross was the youngest one: John. All the others had gone into hiding for fear of the Jews. Peter, who had betrayed Him three times, was off somewhere else, terribly ashamed of himself for what he had done. John, you recall, was the one who called himself, “The disciple whom Jesus loved,” in the Gospel he wrote. He is also the one who leaned on Jesus’ breast at supper and the only one who knew who the identity of the betrayer. God is a Holy God Who cannot abide sin. All throughout the Old Testament, the only way He could be close to His people was to either conceal His glory behind a veil or inside the Golden Box, i.e., “The Ark.” Otherwise everyone who looked on Him would die. When Jesus took human form and walked this earth, He always called God, “Father.” THIS MOMENT IS THE ONLY TIME IT IS RECORDED THAT HE CALLED HIM, “My God.” Why? 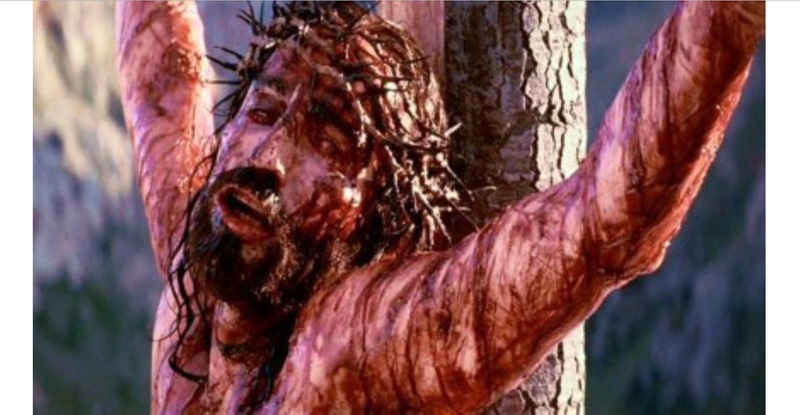 Because from that moment up until He cried, “Finished,” He was carrying our sins in His body and gave His soul as an offering for sin.” THE FATHER HAD TO TURN HIS BACK ON HIS BELOVED SON AND UNLEASH ALL OF THE PUNISHMENT DUE FOR ALL OUR SINS UNTIL THE LAST ONE WAS PAID IN FULL. Judgment mercilessly rained down on Him as He bore the sins of the whole world. 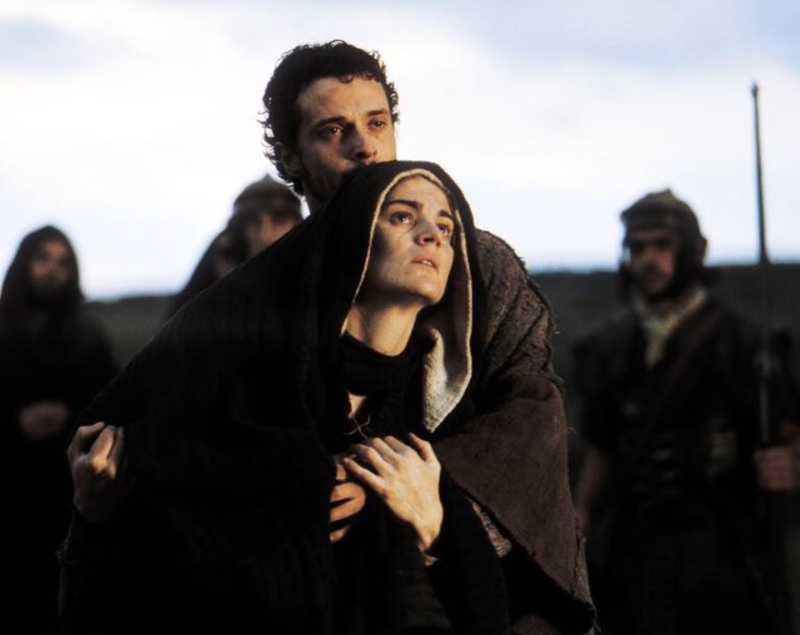 He lost fellowship with His beloved Father and was separated from Him. He did it so that you and I would never EVER be able to fall out of fellowship with God or be separated from Him. Even though crucifixion was THE CRUELEST form of capital punishment, Perfected by the Romans, they would offer the one suffering sour wine. It was supposed to ease their pain. 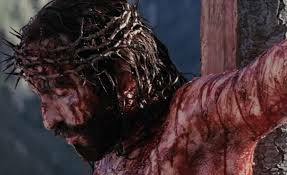 Jesus tasted it but refused to drink it, choosing instead to fully bear the pain of paying for our sins. His action redeemed us from the generational curse. Church, once you are redeemed by the blood of Jesus, YOU ARE NOT UNDER ANY CURSES OF ANY KIND. Balaam found this to be true when he was hired by the king of Moab to put a curse on the Children of Israel when they were wandering in the desert. Jesus FINISHED the work! He fulfilled all the law. He fully paid for any and all judgment for our wrong-doing so that it would not fall on us who have accepted His sacrifice as our own. Not one Jot (yod) or tittle passed from the law. God overlooked NOTHING! The Man Or The Map? This is often something that many believers do not fully grasp. There are sincere pastors, teachers, even theologians with PhD’s, who still do not understand that we are not under the Law anymore; we are under grace. This does not make us “LawLESS,” but rather even more “LawFULL.” Why? Jesus wasn’t murdered. He wasn’t killed. No one took His life from Him. 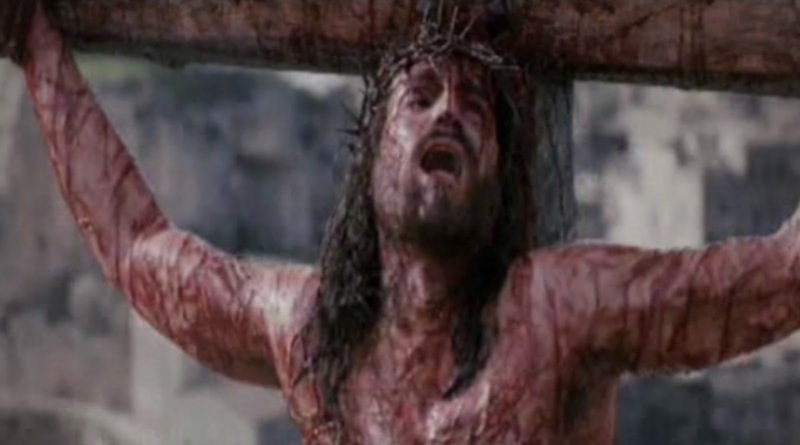 He willingly laid down His life for us. Though His wounds were grave, they didn’t cause His death. He had to dismiss His spirit as one would dismiss a servant because in the presence of His Spirit, no one can die…..including Jesus. 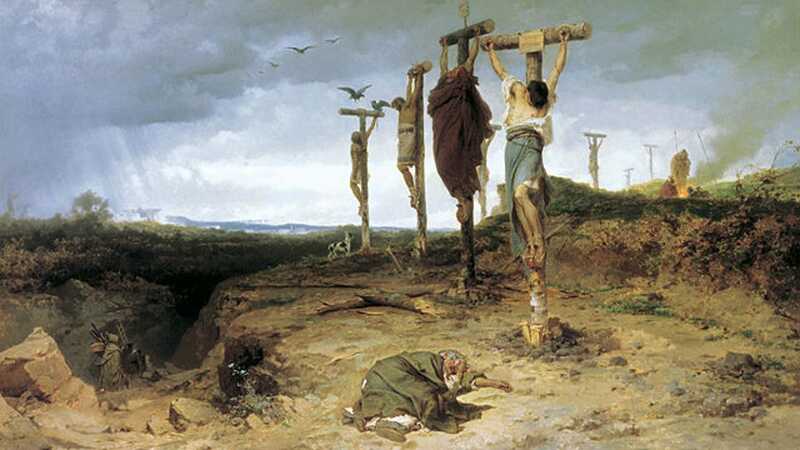 Many people throughout history suffered crucifixion at the hands of the Romans. Scientists have studied the skeletons of people killed in this manner. The backs of all their skulls were cracked and their neck bones showed that they bent their heads as far back as possible. Why? Because they had to struggle for every breath as their lungs collapsed. It was a desperate attempt to gasp for air, which is why they would break the legs of the dying person. When they could no longer push themselves up in order to breathe, they died of asphyxiation. Jesus however, did not die in this manner. HE BOWED HIS HEAD FORWARD, demonstrating that He was in complete control. THEN…..He dismissed His spirit and breathed His last. 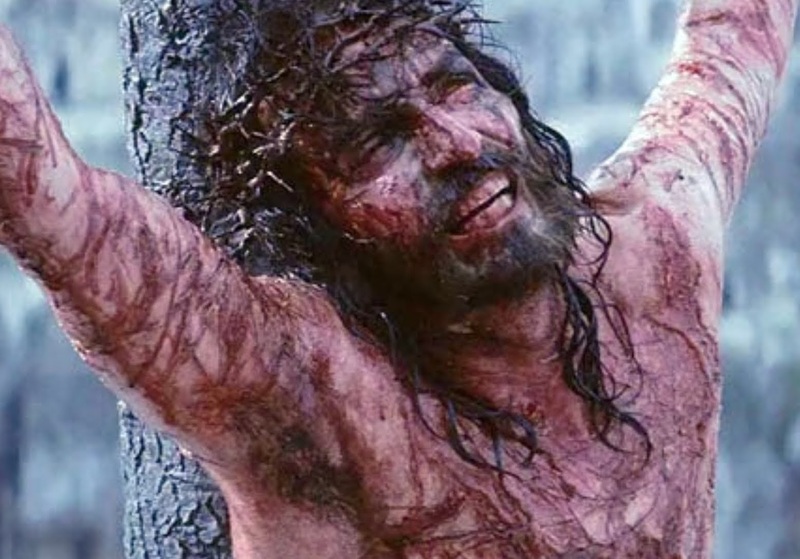 He went through all of this to redeem you and me. He didn’t have to do it. He could have gone back to His Father and left us to our fate. It was His unquenchable desire to save all of us that kept Him going. But He had another reason. He wanted first and foremost to vindicate His Father’s Name and bring honor and glory to Him. What a God!!! What a Savior!!! THANK YOU JESUS!!! In the book “God’s signature” Steve Maltz explains that the Hebrews refer to each OT book by its opening words. 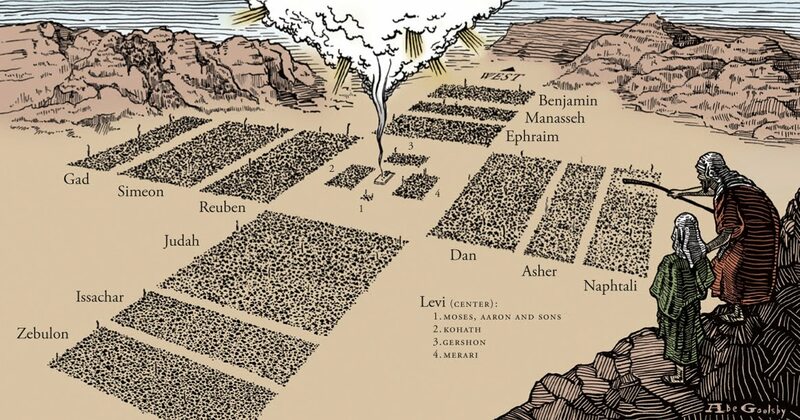 Hence Genesis is referred to as “In the beginning”, Exodus as “These are the names” and so on. So on the cross Jesus called out “Psalm 22”. When you then read all of Psalm 22 these are actually triumphant words of Jesus; “My God, my God, why have you forsaken me?” and the Psalm’s Messianic nature is even clearer and deeper. Makes me want to fall on my face for what Jesus did!